Special New Release Price of $15.99! 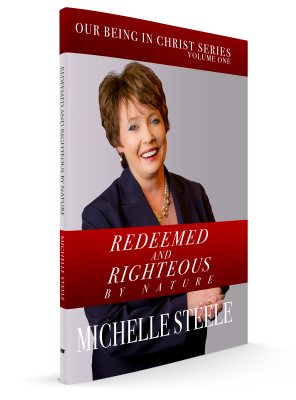 Pastor Michelle's newest book, Redeemed and Righteous by Nature! This book is volume 1 of the Our Being In Christ Series! When a person is born again, they are recreated in Christ Jesus. The new life is so dramatically different and this book is desinged to help you understand who you are in Christ and all that comes with it. 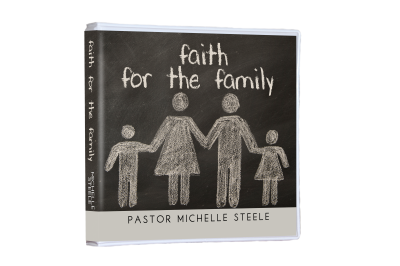 This months free offer from Pastor Michelle is Faith For The Family! This CD series will build your faith for your family. Pastor Michelle's teaching will help you learn how to pray for your family as well as core strenths to stand against the enemy where your family is concerned. © 2019, Faith Builders and Michelle Steele Ministries. All Rights Reserved. Who is Pastor Michelle Steele?